The Golden Temple of Amritsar is an amazing temple with a lot of history behind how the Shrine was built. The landmark was constructed for people to meditate, say their prayers , and to enjoy peace. The monument was created in the year 1574-1601, the Structure had to get rebuilt after the tragic defeat in the 1760s. The Temple got destroyed twice since the Shrine was originally built. Maharaja Ranjit Singh was the amazing architect of this beautiful monument. Guru Baba Nanak was the person who had the inspiration to build the monument; he lived in the year 1469 to the year 1539. The Shrine is a structure with history that will last for eternity. The Temple is a beautiful structure with lots of love, care, hardwork, and money put into the making of the Shrine. The Temple took a lot of hardwork since the people of Amritsar insisted on rebuilding the Structure, the monument took a lot of time and money to keep rebuilding and making upgrades. People loved the shrine when gold and marble were added to the outside; the structure was originally mud. Soon the landmark got destroyed in a second battle. 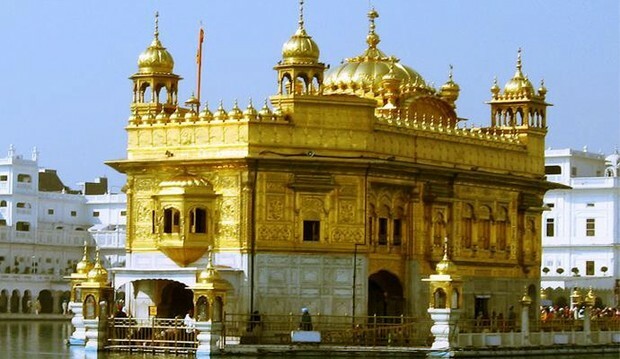 This amazing Temple made of gold and marble is located in Amritsar, Punjab. 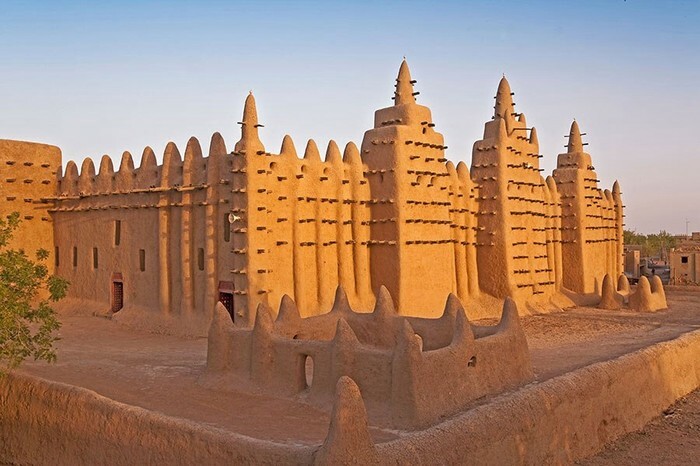 This is what the Temple could have possibly looked like of it was mud. We admire this Temple of Amritsar and the benefits that come with it. 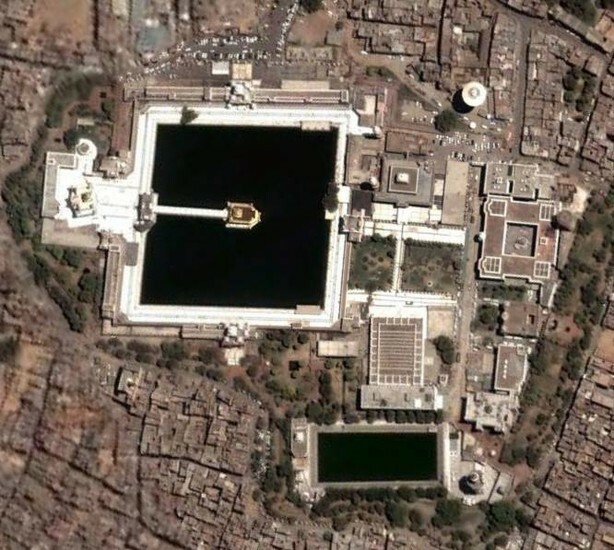 The Temple is big; the Shrine sits on a beautiful body of water, with it's golden glimmer on top, and marble coating on bottom. 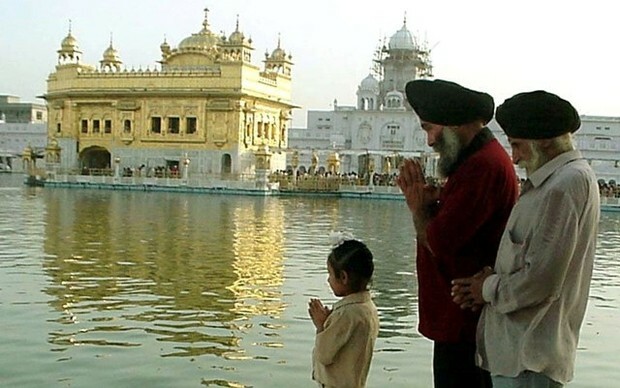 People like the Temple because it has many activities, things and history to learn about; also you get to learn about the culture and the foods that are in Punjab. We as human beings like to admire and obtain the beauty of this Temple. The reason is,the workers serve free food and you can stay the night in an inn inside of the Temple. — Some are even free! — The Shrine also has a library and museum. The benefits of the Temple are so amazing and so is the Shrine. 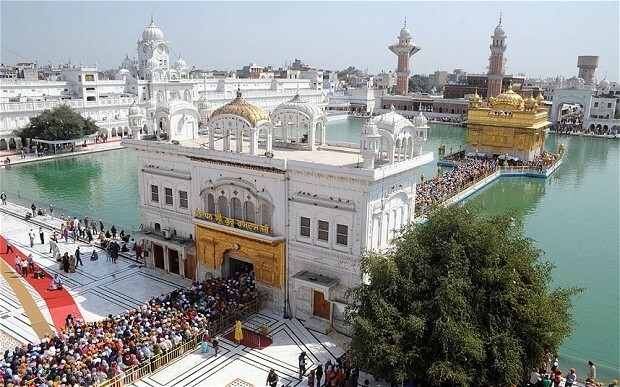 These are reasons why you should visit the Golden Temple of Amritsar. There is a lot more to explore, and not just this mounument, you could explore the whole country! All the boring facts and benefits at any other mounument in the world, are small compared to the humongous benefits and facts at the Golden Temple of Amritsar. 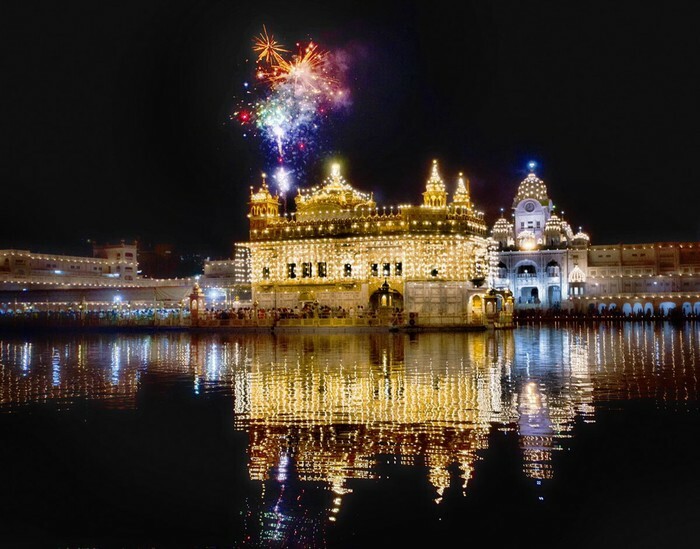 "In Brief: The Golden Temple - The Review of Religions." The Review of Religions In Brief The Golden Temple Comments. Web. 20 Nov. 2014. 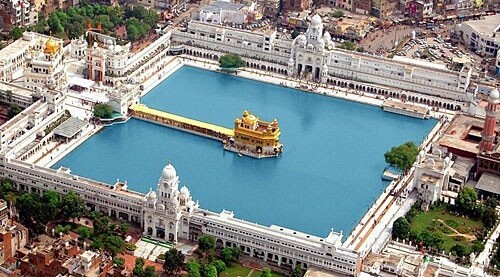 <http://www.reviewofreligions.org/2261/in-brief-the-golden-temple/>. "Sacred Destinations." Golden Temple of Amritsar. Web. 20 Nov. 2014. 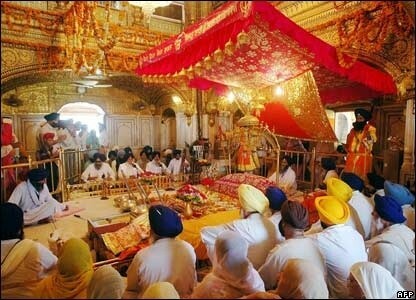 <http://www.sacred-destinations.com/india/golden-temple-of-amritsar>. "Sri Harmandir SahibThe Golden Temple Amritsar." Amritsar Golden Temple. Web. 20 Nov. 2014. 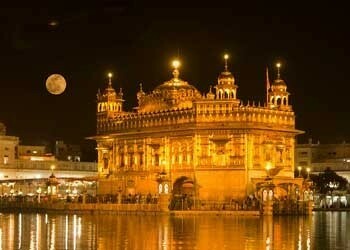 <http://www.amritsartravel.com/golden-temple.shtml>.